Hello and welcome everyone, its STAMPtember from Simon Says Stamp! STAMPtember is probably the most highly anticipated event in the stamping world and I know I myself am always eagerly waiting for September to begin. And not only because of new products (which we all love), but also because of all the special collaborations. I think STAMPtember is a great event to be a part of (and the most awesome thing is that anyone can be a part of it). 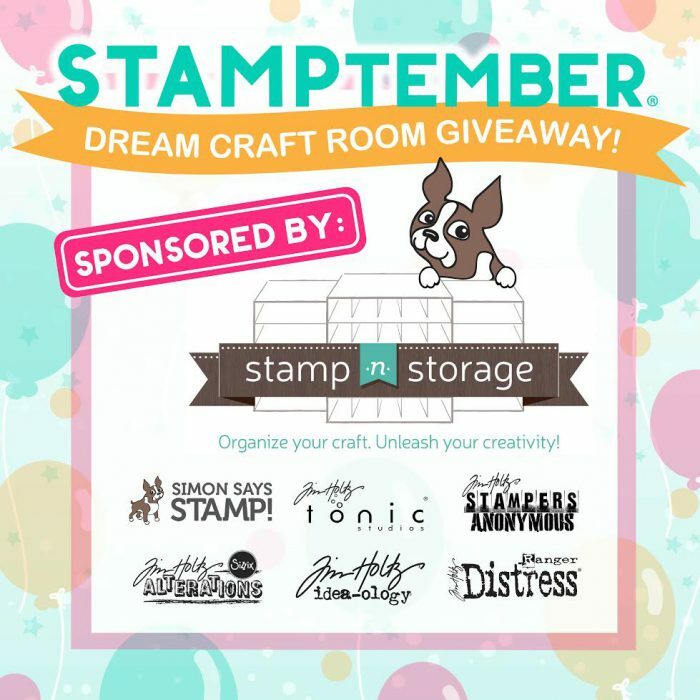 I was chatting with one of my crafty friends the other day about STAMPtember and she said for her its the second most important and anticipated event after CHA show. Do you feel the same? 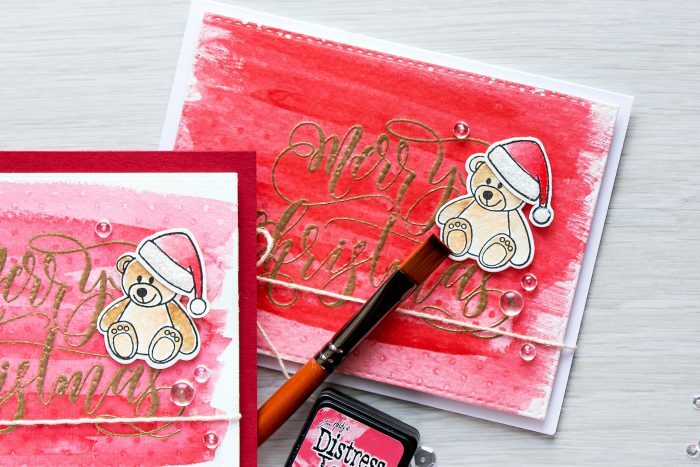 The cards I am sharing today use a beautiful Merry Christmas sentiment, I love how how big this one is, perfect to use as a focal point on any Holiday project. I’ve filmed a video tutorial where I am sharing everything in detail. You can watch it below or on my Youtube channel. 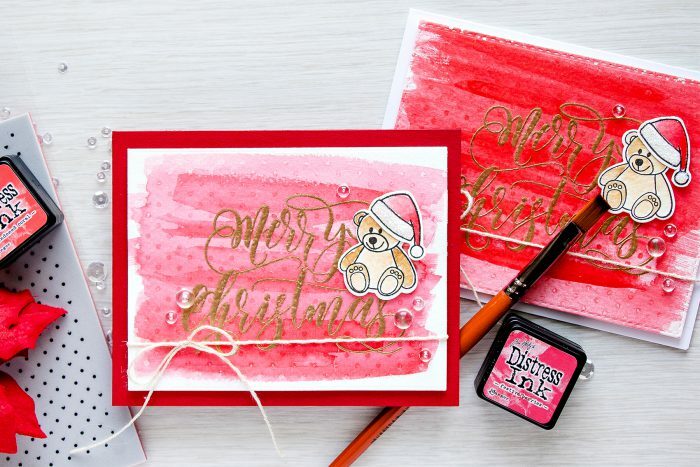 I started working on this card by heat embossing Merry Christmas using Antique Gold embossing powder 3 times onto a sheet of watercolor paper. I used my Misti to be able to perfectly alight the message every time. The reason I embossed it more than once is because I wanted to have a dimensional sentiment, I wanted to have more dimension than usual and also because since I was heat embossing this on watercolor paper I had little imperfections due to the texture in my paper. I also stamped a new dots & hearts background stamp onto my heat embossed panel and I used VersaMark Watermark ink pad. I didn’t emboss the background, but rather went for a watermark look that was revealed after I added my watercolor wash. 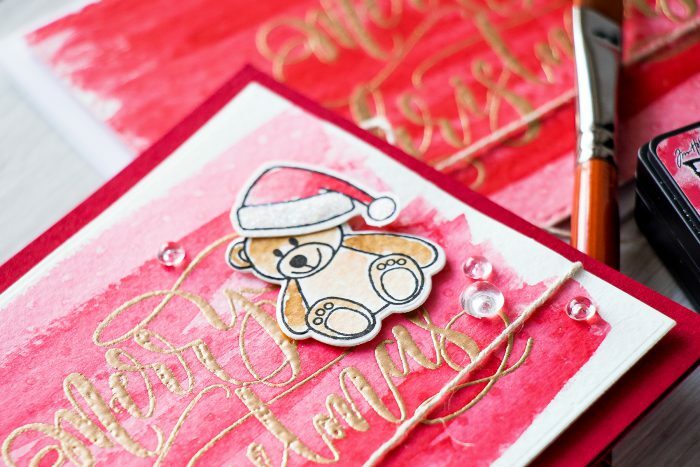 I wanted to add something else to my card, so I stamped, colored and cut out an adorable toy bear and Santa’s hat and foam mounted it onto my card. 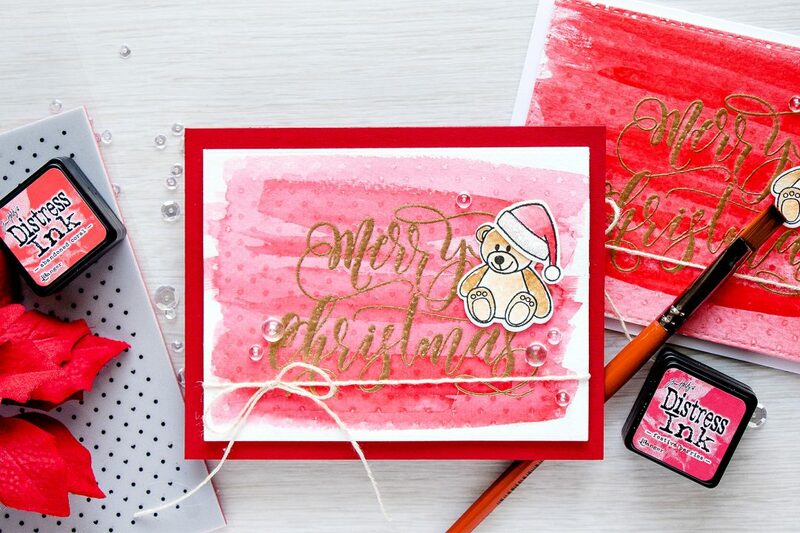 I used Distress inks in Festive Berries and Candied Apple to create the watercolor wash on the card above; but traditional watercolors can also be used for this. 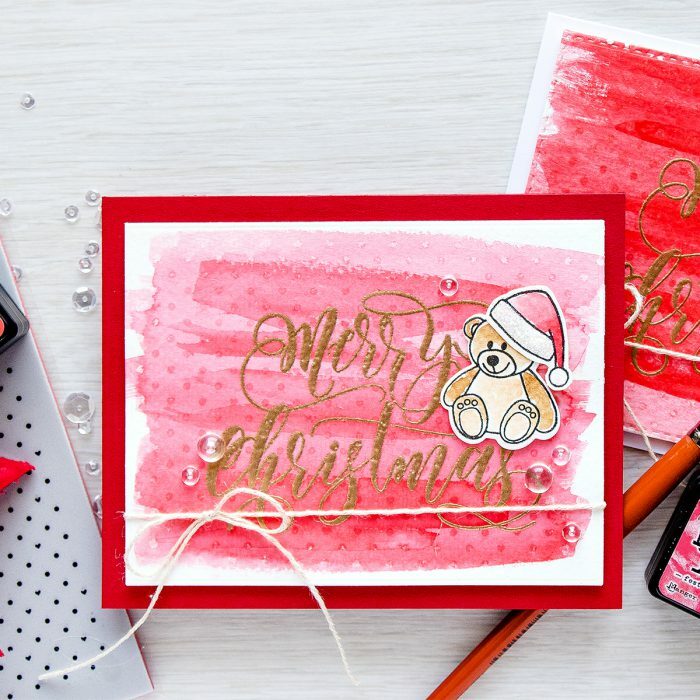 The background on the card below (the one with the more intense red) was created using Gansai Tambi watercolors. The little bear, and he comes from Simon’s new Christmas Toys stamp set was watercolored using Gathered Twigs and Tea Dye distress inks. I also added a bit of clear glitter to his hat. 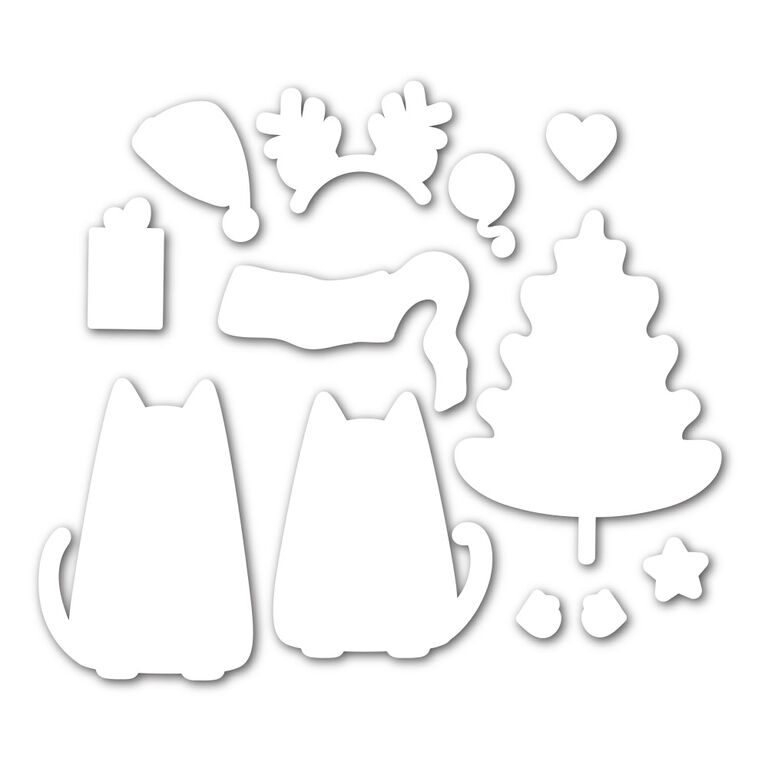 Simon is having a fantastic dream craft room giveaway over on their blog. Who wouldn’t want to have a brand new craft room and new toys to play with? Visit Simon’s blog for details. Hop along to find lots more creative inspiration! If you arrived from Suzy Plantamura the next stop on this hop is Amy Rysavy. You can also start at the beginning on Simon Says Stamp Blog. Check out additional inspiration from my blog using STAMPtember goodies! Great cards! Love the easy design! Another new tip from you! 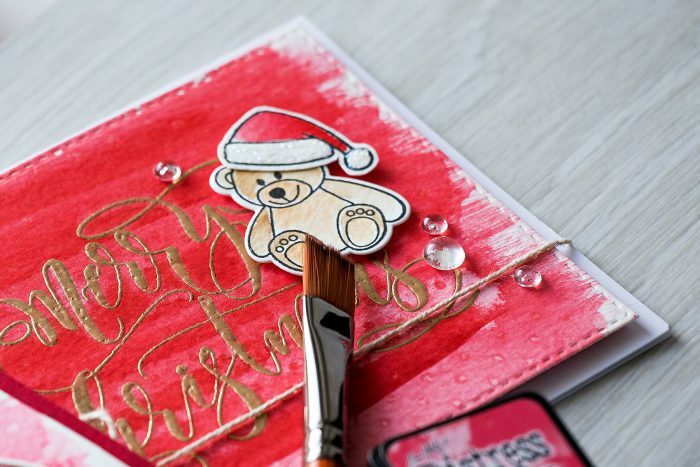 Beautiful card – always love the Red!! That is so pretty! 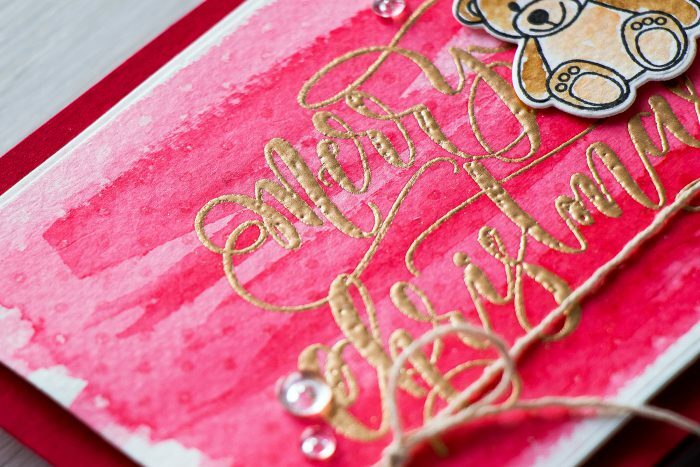 That water color wash is simple and easy and that is what makes it so awesome! Beautiful card! Your cards are so nice! No surprise there. That red wash behind the teddy bear is a great look. I also love the design and coloring on the gnome card! !